Each summer a delegation of Azerbaijani students comes to Oslo for the famous International Summer School (ISS). This year was not an exception either. We believe it is a wonderful opportunity for young Azeri students to learn Norwegian experience and then transfer that knowledge back home. They can take a wide range of courses that meet their interests at the University of Oslo (UiO). Especially after the fact that Azerbaijani students are not available for the Quota Scheme scholarships anymore, the student exchanges have been pretty sporadic and we attach a lot of importance to the possible contributions of the ISS. 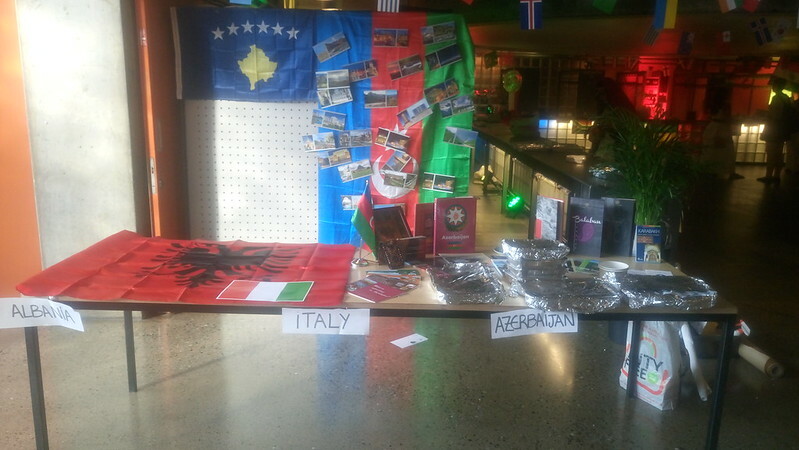 The culmination of the ISS is no doubt international cultural evening which was held on July 27 this year. With support from NAYO, our bright students led by Sevil Abbaslizada, Mirmehdi Aghazada, Aydan Suleymanzada, Ulkar Aliyeva and Janana Ahmadli (we deeply thank them for their collaboration) came up with an info-stand about Azerbaijan and served national cuisine to the guests and ISS-participants. With their determination and teamwork skills it was no surprise that the section devoted to Azerbaijan got one of the longest queues among tens of nations! 😉 The ceremony continued with music and dances from all over the world later.